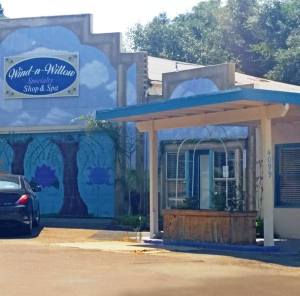 Fall in Fair Oaks is a time of change and acupuncture is a growing part of it! Autumn is all about the harvest and and making room for the start of something new. You can feel it in the air. It’s time to gather with friends and family to enjoy bountiful goodness and all that the season has to offer. Sometimes, however, the cooler weather can bring out some of the aches and pains that were forgotten during the warmer Summer months. This can get in the way of all the enjoyment this season will bring. This is where Valley Acupuncture comes in handy! In the spirit of change, I am happy to announce that Valley Acupuncture is expanding and I have just opened a “satellite office” in the Sacramento area. It’s located in a fun, Bohemian-chic day spa located in darling Fair Oaks Village. This environment is the perfect antidote for a busy work week and hectic life! This additional location makes it possible for me to support patients with the same personal services and healing, comfortable atmosphere that I provide in my South Bay office. Women’s Health remains my primary focus. Nabncy Burns, L.Ac. is available by appointment only. Acupuncture treatments may be scheduled for MONDAY & TUESDAY between 9am-6pm. Call 916 904-0451 for more details. Please tell family and friends in the Fair Oaks area and remember to ask about the Free Initial Consultation to which newcomers are entitled. PLEASE NOTE: Acupuncture treatments continue in our South Bay office and are available Wednesday through Saturday. Women’s health is the cornerstone of our business. From fertility and infertility, to depression, insomnia, PMS, peri-menopause and menopause we use proven acupuncture techniques to relieve pain, expedite healing and help resolve difficult, chronic issues. In addition, we provide a non-surgical solution for women interested in artful aging. Ask about our facial rejuvenation treatments and again, remember, those who are new to Valley Acupuncture receive a Free Initial Consultation. Valley Acupuncture treats complex issues related to chronic & acute pain, sciatica, fibromyalgia and migrains – as well as sports injury rehabilitation and treatment for tennis elbow. Acupuncture treatment for digestive issues and weight loss are also frequently requested as they often go hand in hand with menopause and stress. The secret to our success, is that we begin with the art of listening. It really is that simple. Acupuncture is a medical practice, some 3000 years in the making. Today, Western Medicine, including the insurance industry, recognizes acupuncture for the safe and effective treatment of many conditions in addition to those referenced earlier. Acupuncture involves the stimulation of pin-point spots along meridians in the body. When we place super-fine, sterile, one-use needles through the skin at these precise points, we are able to correct imbalances in the system, promote healing and substantially reduce and even eliminate pain altogether. Who is Nancy Burns – Valley Acupuncture Fair Oaks? Nancy Burns, L. Ac. is a CA State Board Certified Licensed Acupuncturist and Herbalist. In addition to being an active acupuncture practitioner, she is a professor at the prestigious Five Branches University. Nancy is an expert in Women’s Health issues and Facial Rejuvenation. 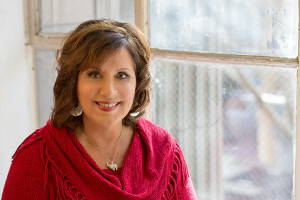 Nancy is available to speak at stress-management or wellness workshops, networking events and community programs in Fair Oaks, CA. Nancy is at home speaking on topics related to acupuncture, women’s health and artful aging. She has a wealth of knowledge to share, a passionate interest in helping women and wonderful ability to both educate and entertain. When Nancy speaks at your event, you can expect an enjoyable and informative experience. Please be in touch to learn more. 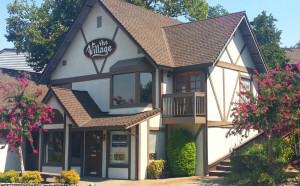 Our Fair Oaks Valley Acupuncture location is conveniently located at the corner of Bridge and Howard. Appointments are available MONDAY & TUESDAY from 9am -6pm. Please call 916 904-0451 to schedule an appointment in Fair Oaks and to learn about the Free Consultation available to newcomers. – See you soon!